Knowing self is the first step in personality development. 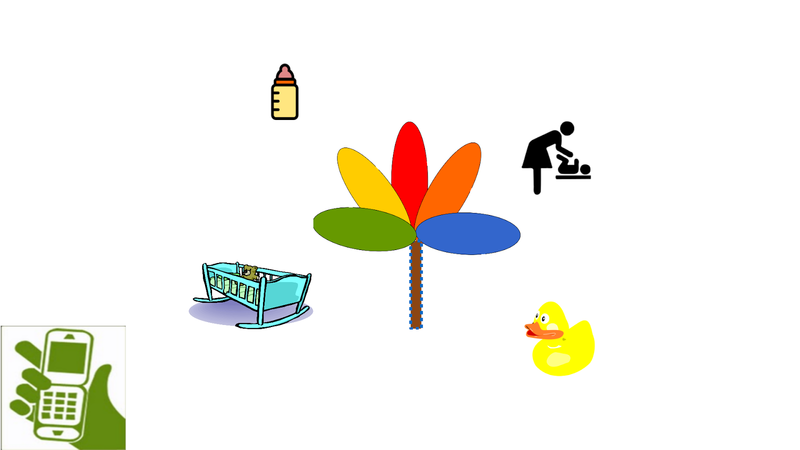 Provides the largest collection of interactive trait tests. Provides with most of the standardised tests. 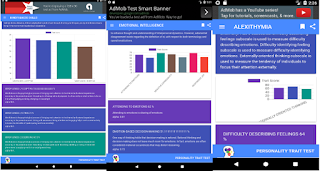 Tests are in the form of a Psychometric questionnaires in English designed to reveal aspects of an individual's character, psychological or Behaviour preferences. These tests are widely used scientific instruments of psychology in Personal and professional Space. - Traits on search for better understanding of you. Our Personality is made up of large number of Traits like threads that make cloth. Traits can be defined as habitual patterns of behaviour, thought, and emotion. Everybody are good in some traits, not so good in some and many in between. Success, happiness, satisfaction, peace etc, in your personal life, relationships, career etc depend on how you perform using these traits. Measuring, how good you are in the traits tells, what are your Strengths and Weaknesses and how well you are performing. When you attempt to find, how you fair in a particular trait, you have to either depend on the opinion of others or family, which introduces unpleasant issues like bias, judgement and may even affect your precious relationship. This application aims to help you self assess, how you fair in each of these traits. Trait app provides tests to measure over 600 traits. Enneagram Type, Enneagram Sub Typ, Five Element Nature Indicator (Chinese Astrology) Test, Dosha Type Quiz (Indian Ayurveda Prakrit), Ego State (Transaction Analysis) Type. Self Assessment is the best way because, who knows you, better than yourself. These tests are neither psychoanalytic in approach , which are deep, nor behavioral in approach, that barely scratch surface. Self assessment is made by answering a set of questionnaire for each trait, prepared by renowned psychiatrists and sociologists of world at various points of time. You just have to answer them as honestly as possible and your score in the traits is provided. As simple as that. Your results stay in your mobile. So perfectly private and safe. Questions are plain real life preferences in simple understandable and answerable format that take familiar , unfamiliar and formal circumstances of inclinations into account. When taking the test, Choose the most agreeable with you, not what you want to. There is no right or wrong answer. No right or wrong person. It is just a opinion or perspective. Provides different tests or different ways to measure the same trait, because each of us are unique and there is no one fit test for everyone. Trait application is for educational purpose only and in no way substitutes Psychiatrist or Sociologist expert opinion. Personality Tests to find your Personality Leanings, Behavior Type and traits test for your Personal and work place. 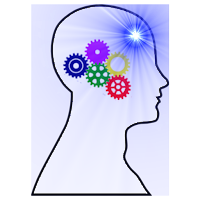 Psychometric questionnaires in English designed to reveal aspects your character, psychological or Behavior preferences with Ease. These tests are widely used best scientific instruments of psychology in Personal and professional Space. -Free Comprehensive (Jumbo) Personality test with many traits. Know your personality against five famous Traits. Namely Extroversion, Agreeableness, Conscientiousness, Neurotic-ism and Intellect. Know your personality against sixteen famous aspects of personality namely Warmth, Intellect, Emotional Stability, Assertiveness (Dominance), Gregariousness (Liveliness), Dutifulness (Rule Consciousness), Friendliness (Social Boldness), Sensitivity, Distrust(Vigilance), Imagination (Abstractedness), Reserve (Privateness), Anxiety (Apprehension), Complexity (Openness to change), Introversion (Self-Reliance), Orderliness (perfectionism), Emotionality (Tension). Know your skills re-portiere against five types of skills. Realistic, Investigative, Artistic, Social, Enterprising, Conventional. This also gives your dominance Career personality code. -Identify your Eating personality Type. What is your approach to your eating and how it affects your life. Find your eating style among careful, Professional Dieter, Mindless Eater, Plate Cleaner, Refuse not type, Emotional and Intuitive. -Sure test to understand what is happening with your Food culture, Make smart adjustments to your Eating or Diet Style. Become wise on Health and Fitness goals with eating type. -Know your multiple intelligence Type among Linguistic, Logical/Mathematical, Musical Rhythmic, Bodily/Kinesthetic, Spatial, Naturalist, Intrapersonal, Interpersonal, Existential. -Test provides your dominant Intelligence type, Intelligence Scores and characteristics. - Know you social motivation drive among Achievement, Affiliation, Power/Influence. Identify how dependent are you on Alcohol. 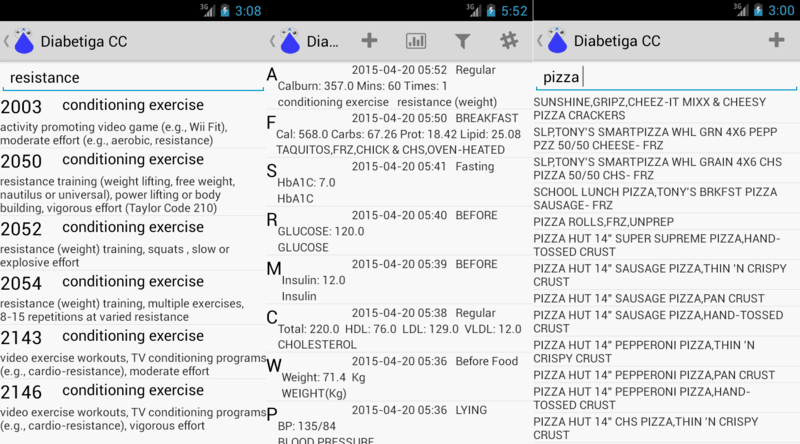 Database: Comes with Inbuilt Food and Recipe Database. Nutrition : Carbohydrates (Carbs), Proteins, Lipids, Fiber . METS: Comes with Inbuilt METS database. GLYCEMIC LOAD: Glycemic Load from Glycemic Index and Carbohydrates values. HbA1c - GLUCOSE : calculate between HbA1c, Average Blood Glucose, Estimated Average Glucose and also between different units mg/dl or mmol/l. 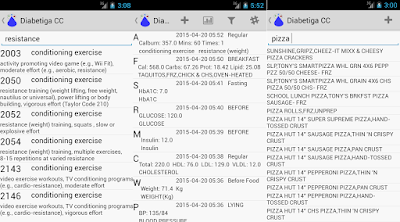 Hidden Calorie : calculate the amount of calories and get the hidden calories. MODY:Gives the probability of a Young Person getting Mody. Ideal Weight:: What should be your Weight for your physical build. Daily Calorie: Calorie consumption to Gain, Maintain or Lose Weight. Water : Required Daily Water Consumption. 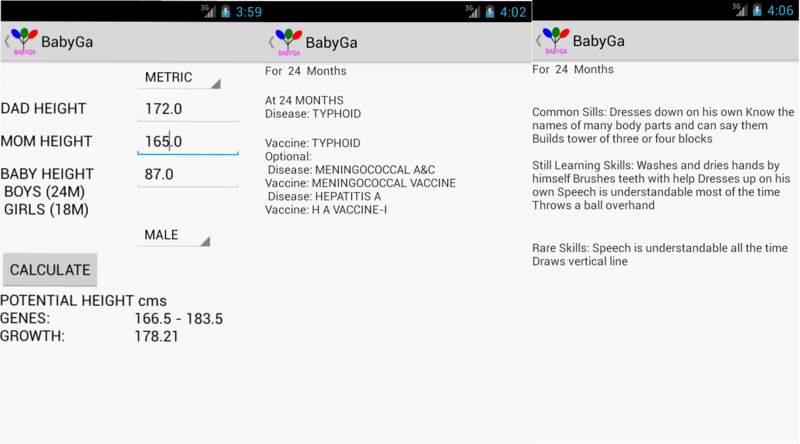 Babyga is Pediatric Tracker and Calculator. 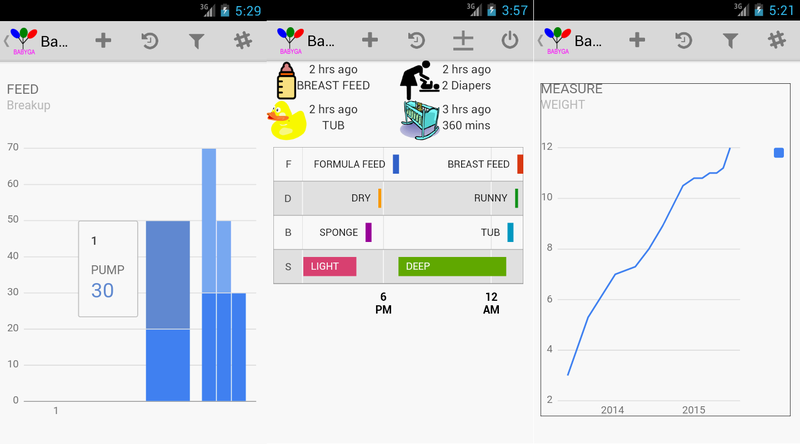 It tracks your Baby's feeds, Diaper Changes, Baths, Sleep. 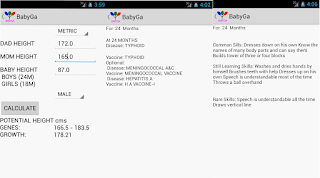 Gives your Baby's periodic Immunization and Milestone. Pediatric Calculator calculates your Baby's Adult Height Potential, ADHD Scores, APGAR Score and Zodiac. You can export the data as csv files and charts as Images as well. Record both Duration and Accurate Quantity of Feed. Detailed Log with In-depth Details for further reference. NOTES everywhere, notes in every entry, so you can record all the details. 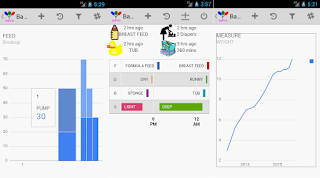 DURATION for each activity like feeding, diaper change, Bath, Sleep. More options like labels to classify. 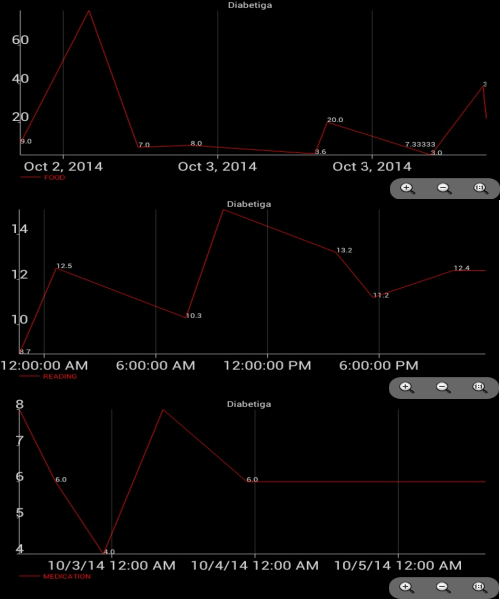 Info Pattern displayed for past 48 hours on Dashboard for easy reference. More details in Charts. Journal can be EXPORTED and PRINT. Record and track Height, Weight and Head Circumference of your Baby parameters of growth. See growth over weeks, months and years. Observe Patterns of growth and Growth Spurts. MEDICINE : Record all the medicine given. Know your child milestones for his age. be when he grows up, Use the calculator. CHART: Displays data in charts and Graphs. Save chart in Jpeg Files for further analysis. Nutrition : Carbohydrates (Carbs), Proteins, Lipids, Fibre . Timer : Start- stop timer with Count-up and Count-down counting. Social Profile: Your Social Fitness, How Society looks at you. Foods with carbohydrates that break down quickly during digestion and release glucose rapidly into the bloodstream tend to have a high GI. Foods with carbohydrates that break down more slowly, releasing glucose more gradually into the bloodstream, tend to have a low GI. The concept was developed by Dr. David J. Jenkins and colleagues. The GI was invented in 1981 by Dr Thomas Wolever and Dr David Jenkins at the University of Toronto and is a measure of how quickly a food containing 25 or 50 grams of carbohydrate raises blood-glucose levels. Because some foods typically have a low carbohydrate content, Harvard researchers created the GL, which takes into account the amount of carbohydrates in a given serving of a food and so provides a more useful measure. The GI represents the total rise in a person's blood sugar level following consumption of the food. The glycemic index or glycaemic index (GI) is a number associated with a particular type of food that indicates the food's effect on a person's blood glucose (also called blood sugar) level. The number typically ranges between 50 and 100, where 100 represents the standard, an equivalent amount of pure glucose. The glycemic load (GL) of food is a number that estimates how much the food will raise a person's blood glucose level after eating it. One unit of glycemic load approximates the effect of consuming one gram of glucose. Glycemic load accounts for how much carbohydrate is in the food and how much each gram of carbohydrate in the food raises blood glucose levels. Glycemic load is based on the glycemic index (GI), and is defined as the grams of available carbohydrate in the food times the food's GI. Recent animal research provides compelling evidence that high-GI carbohydrate is associated with increased risk of obesity. In one study, male rats were split into high- and low-GI groups over 18 weeks while mean body weight was maintained. Rats fed the high-GI diet were 71% fatter and had 8% less lean body mass than the low-GI group. Post-meal glycemia and insulin levels were significantly higher, and plasma triglycerides were threefold greater in the high-GI-fed rats. Furthermore, pancreatic islet cells suffered "severely disorganized architecture and extensive fibrosis.". So GI significance in Weight and Obesity Control is well established. Recent scientific evidence have shown that individuals who followed a low-GI diet over many years were at a significantly lower risk for developing both type 2 diabetes, coronary heart disease, and age-related muscular degeneration than others. In the past, postprandial hyperglycemia has been considered a risk factor associated mainly with diabetes. However, more recent evidence shows that it also presents an increased risk for atherosclerosis in the non-diabetic population. High GI diets, high blood-sugar levels more generally, and diabetes are related to kidney disease as well. A study published in the American Journal of Clinical Nutrition found that age-related adult muscular degeneration (AMD), which leads to blindness, is 42% higher among people with a high-GI diet, and concluded that eating a lower-GI diet would eliminate 20% of AMD cases. Processing (e.g., flour has a higher GI than the whole grain from which it is ground as grinding breaks the grain's protective layers). It makes more sense to track Glycemic Load than, just do carb counting or Calorie Intake. 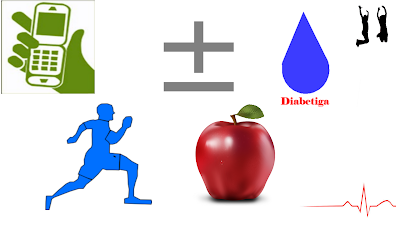 A diabetic will be able to better manage the Food intake and hence greater control over Blood Glucose. 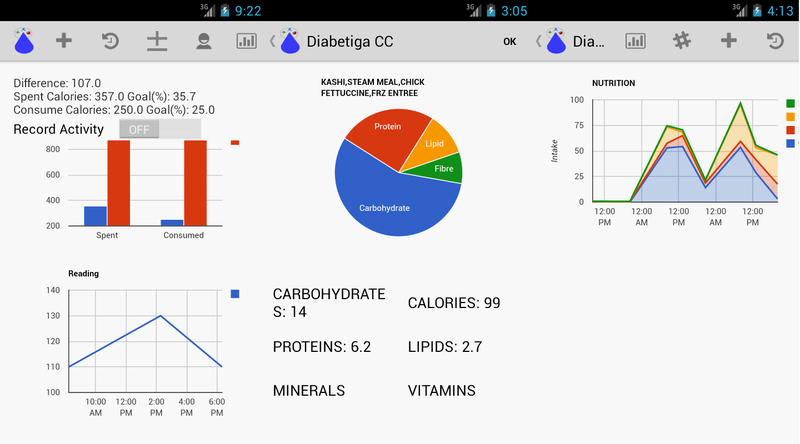 Diabetiga GL is a Diabetes management Tool which Track ,Chart and Calculate. 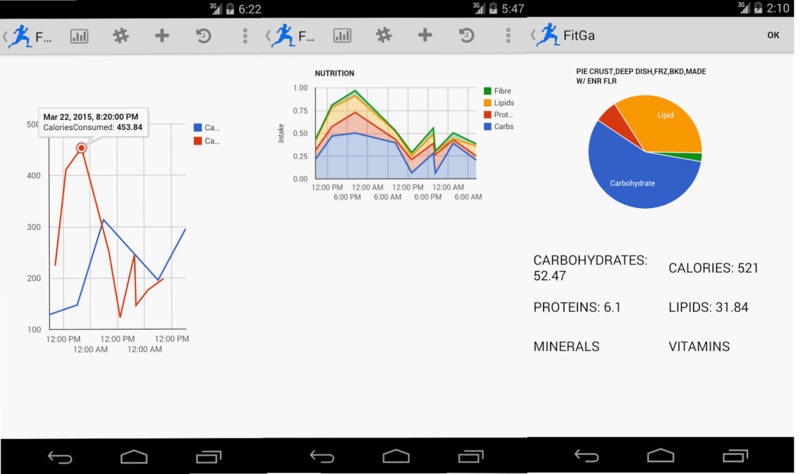 Why Glycemic Load tracking, while others provide carb counting. The glycemic index or glycaemic index (GI) represents the total rise in a person's blood sugar level following consumption of the food. GL is a GI-weighted measure of carbohydrate content. Glycemic Load presents impact of Carbohydrate in Food. So you can better manage your food intake. 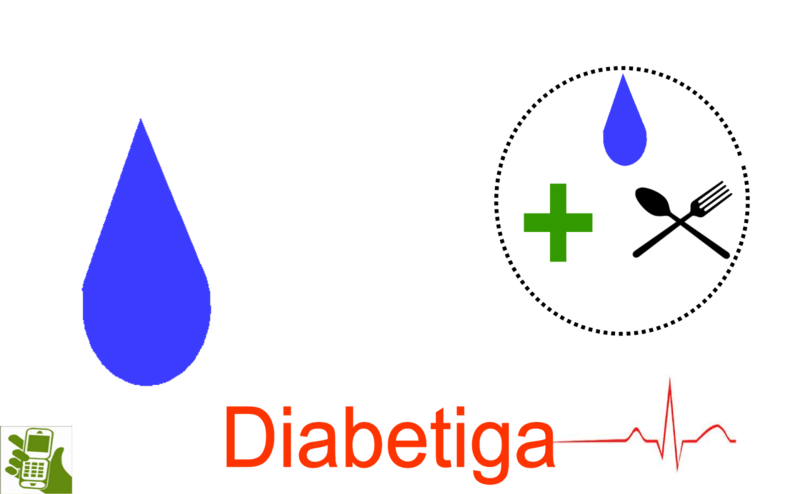 Diabetiga GL provides a list of diabetic Comprehensive calculations listed below. 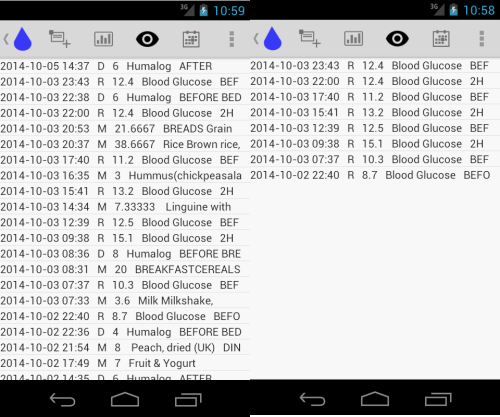 Record and Track Glucose, Medication, Insulin Intake, Food Consumption, weight, Pressure, Laboratory Results. Provides visual graphs of the same. Records provided as single list to help see the correlation between them. 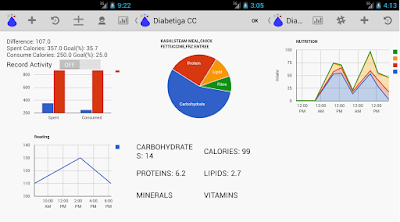 Diabetiga has a food list with carbohydrates value, Glycemic Index and Glycemic Load. 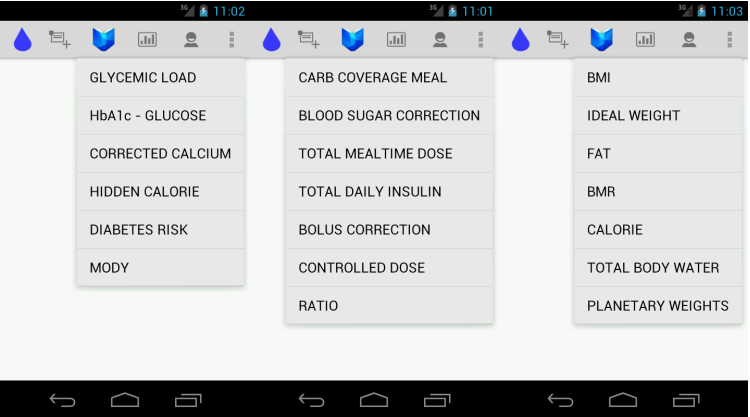 As Glycemic Load is the better than Counting Carbs or Glycemic Index tracking for Diabetic Patients. 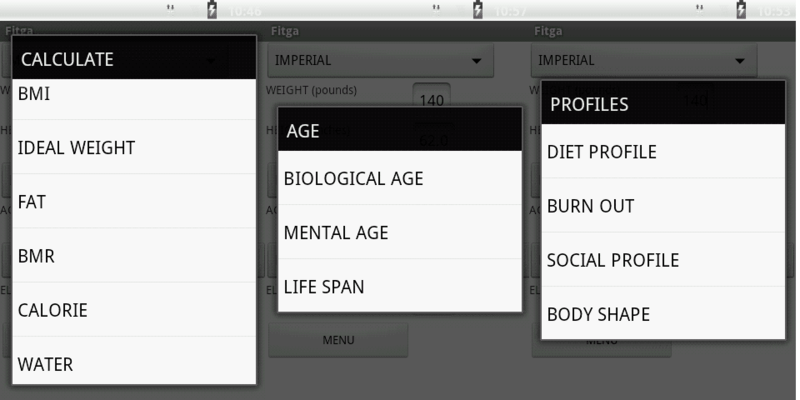 The Food Database provides for this parameter. 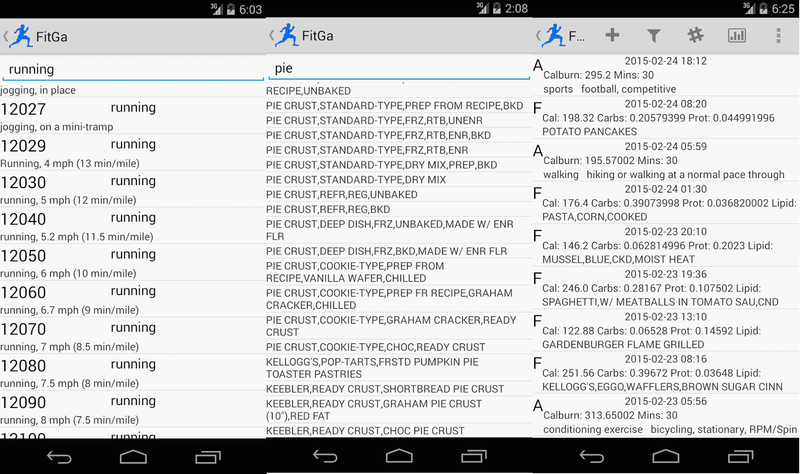 Additional Food Items can be added to the Food Database Manually. Save the Vital Parameters as Profiles, for easy access later. Required Calorie Consumption to Gain, Maintain or Lose Weight. Social Profile, Are you Socially Fit, How Society looks at you. 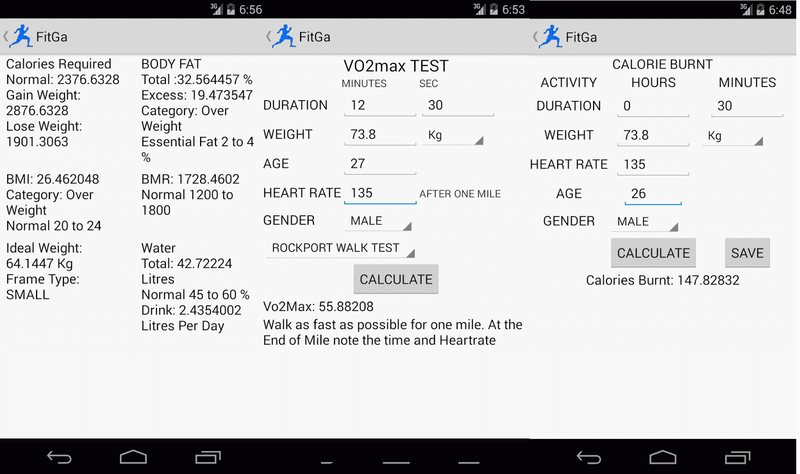 Adds More Fitness Calculations like Mental and Social Fitness apart from Physical Fitness. Also including the ability to calculate with Imperial Units apart from Metric Units. Saving Profiles and Weight is made Robust. TaxGa2013 is a Tax Application for Calculating Income Tax according to Indian Income Tax for the financial year 2012-13. The Application gives the income tax to be paid by a Individual or HUF(Hindu Undivided Family). TaxGa2013 calculates the tax based on the Income, Deductions and Age, you provide as input. The Aim of the application is to provide a simple calculator for calculating your Income Tax as per Indian Income tax guidelines. 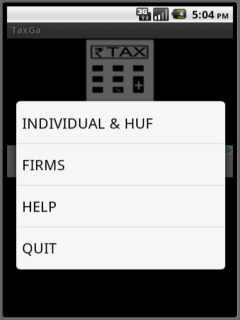 The App cuts through confusing government terms and gives in simple way of input and calculate tax. 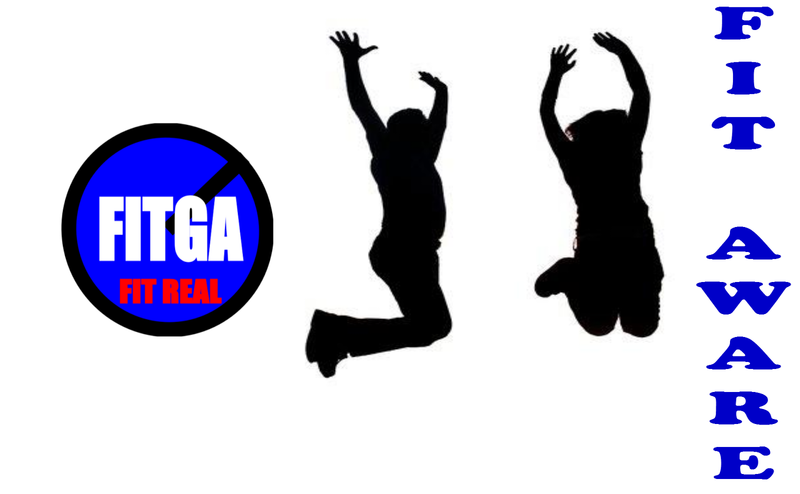 TaxGa2013 is a an improvement over earlier TaxGa. 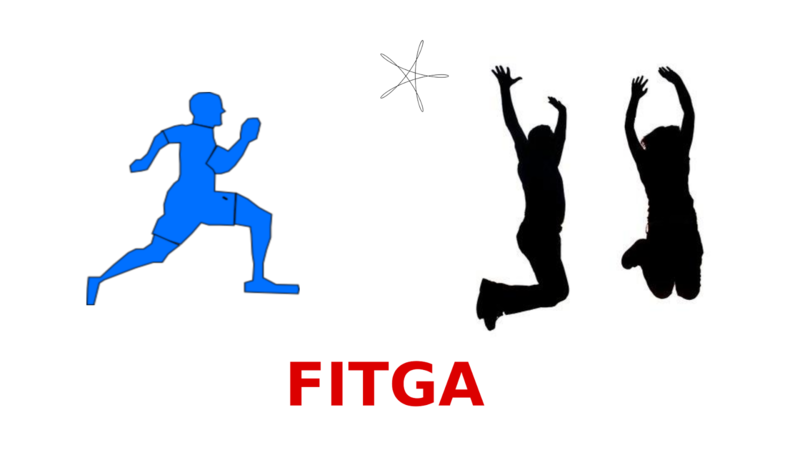 TaxGa2013 is multi-platform. It also give Deductions individually. With-holding tax is also provided. TaxGa2013 is for the financial year 2012-2013 of Individual or HUF according Indian Income Tax as per Union Budget. 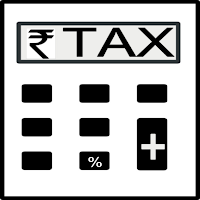 TaxGa is a Tax Application for Calculating Income Tax according to Indian Income Tax. The Application gives the income tax to be paid by a Individual or HUF(Hindu Undivided Family) or Firm. 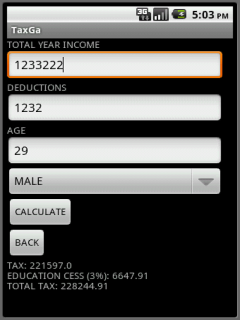 The application calculates the tax based on the Income, Deductions , Gender and Age, you provide as input. 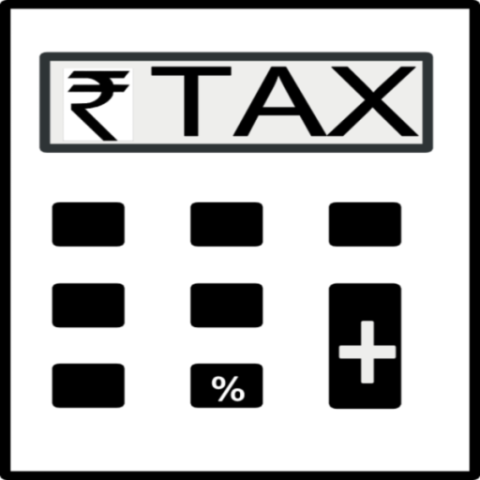 The Aim of the application is to provide a simple calculator for calculating your Income Tax. This version is basic tax calculation, It automatically selects the slab based on the Income, Deductions, Gender and Age you provide and give the tax and Cess on tax to be paid. This version is for the Financial year 2011-12. 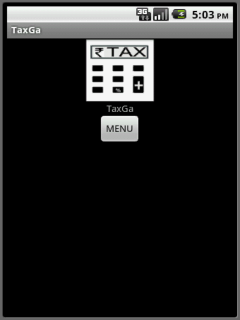 TaxGa calculator provides the Tax to be paid in touch of a button.